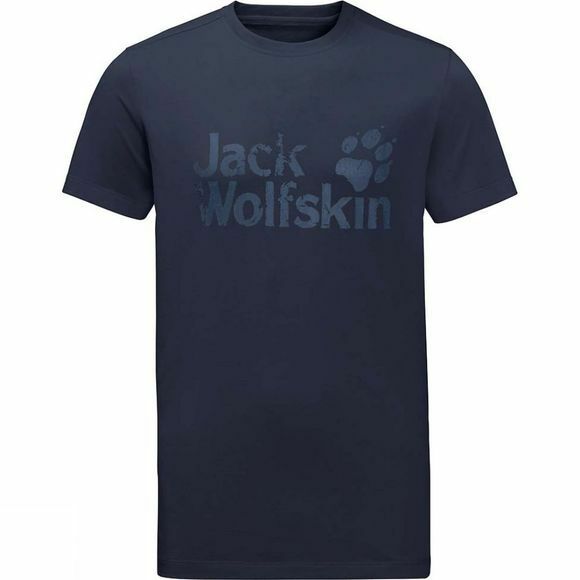 Share the love with the classic Mens Brand T-Shirt from Jack Wolfskin. It's light, fast-drying and super comfortable to wear, like a good base layer should be. The fabric is a blend of organic cotton and polyester. It is harder wearing than a pure cotton t-shirt and has a pleasant, natural feel.